Took the plunge, upgraded to a 4K TV and the result? Home VPB Forums Forums VISUAL PINBALL FORUMS Visual Pinball Discussion Took the plunge, upgraded to a 4K TV and the result? This topic contains 24 replies, has 12 voices, and was last updated by The Loafer 7 months, 1 week ago. I wish I could see an example of @nemo 40″ 4K… nice size. I wonder how it compares vs. the current IPS displays out there? There was this 43″ one that was popular, but is hard to come by these days. Well the viewing angle is not too bad and damn good for a Mva panel, however i have the panel sitting recessed in the cab. 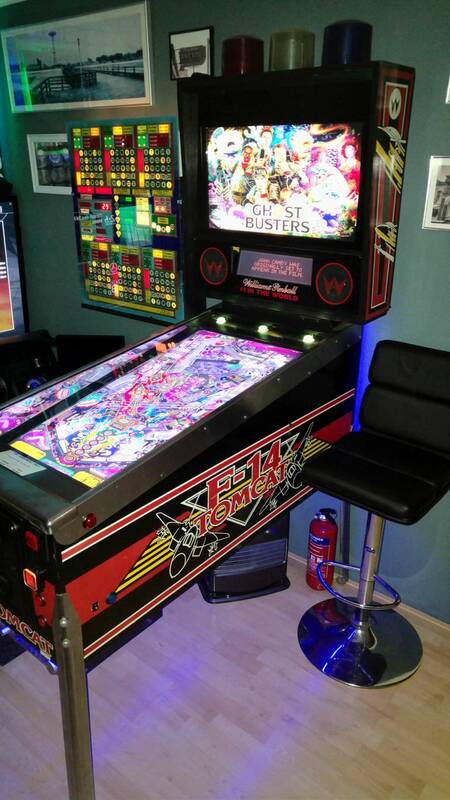 The front sits way low, almost just how an actual playfield would sit in the cab, picture is just gorgeous and bright. Nemo: I’m starting to consider that type of angle for my new set up, woul help just a bit more on the viewing angle thing I guess (but really surprising how it’s not an issue though).